Overheard at Jarndyce Antiquarian Booksellers in London, from a staff member to an antique bookseller who was visiting from the U.S. Yes, I am sure he is from the U.S. That Texan accent can’t lie. 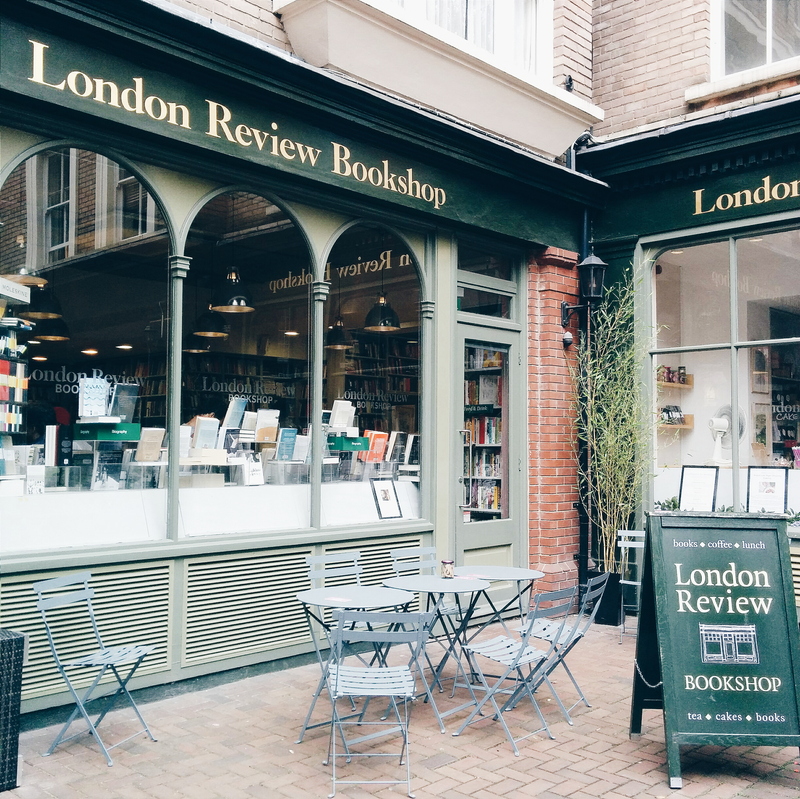 Overheard at the London Review Bookshop, from a staff member at the cash register to a customer. I immediately approached him afterwards to ask for book recommendations. 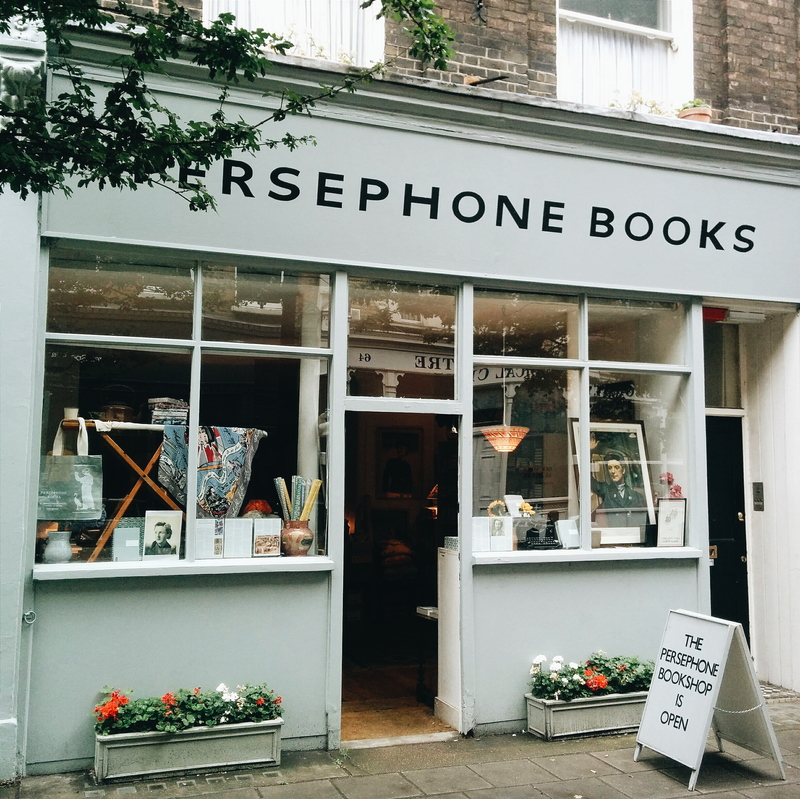 Overheard at Persephone’s Bookshop, a feminist publishing house that reprints books from selected British female authors, when the cashier asked about the customer’s daughter while wrapping a book she bought. 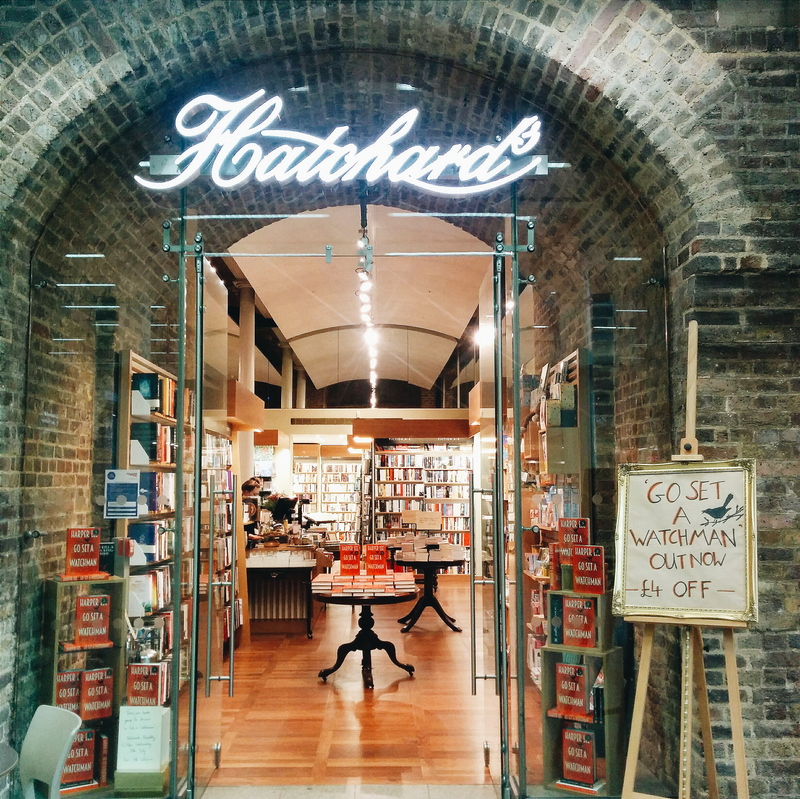 Overheard at Hatchard bookstore at St. Pancras station. It celebrated the release of Harper Lee’s Go Set a Watchman by offering “authentic American snickerdoodles” to customers. Overheard at The Economist Bookshop, which promised free coffee to customers who bought Go Set a Watchman. Overheard behind the counter at Waterstone’s, Piccadilly. She was spared the agony I felt after I read Michiko Kakutani’s review of the book, just a few hours before. 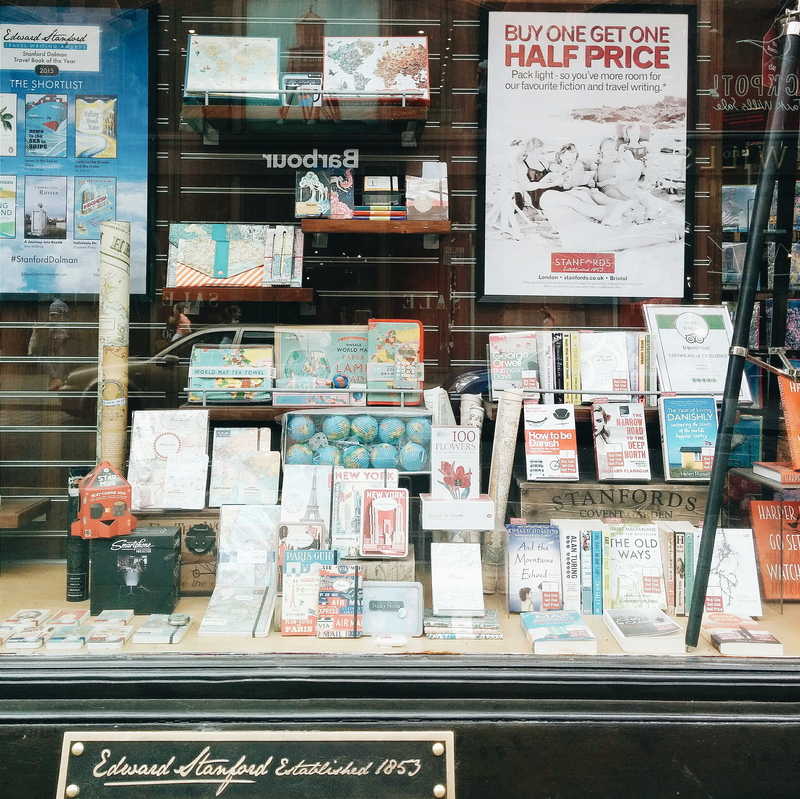 Overheard at Stanford’s, a travel-themed bookshop at Covent Garden. Two men in their twenties, both staff members, were talking about Go Set a Watchman and one of them decided to skip ahead to the middle of the book. I hadn’t read the book at that time, but now that I have, I think I had the same expression on my face as the lad who skipped to the middle of the book. There is no shortage of bookshops with character in London. I found a map of 104 independent bookstores in London at Cecil Court on my last day there, but even without that map I managed to stumble into bookshops that are taken care of by people who seem to genuinely love books. I have many reasons to visit bookshops when I travel. To find books that I don’t know about, books that I don’t get to see in Indonesia, books that I’d like to bring back to POST. To get to know the place better, for independent bookshops always carry the city’s psyche and let you in as if you’re one of its own. To dream about what POST could be one day and what we can start doing tomorrow, little by little. However, during that one week in London, my main reason to visit bookshops was to feel less lonely. Traveling solo is not always easy for me. I enjoy my own company and very often travel alone for work, but at times my thoughts would run so fast they’d leave me feeling anxious and overwhelmed. Having a friend when I travel helps to ground the avalanche of thoughts, I can’t help feeling lonely when I am by myself for a long period of time. Going to independent bookshops is a way for me to feel less alone. I would find friends on the shelves; authors that I know and trust, books that I would like to get to know better. 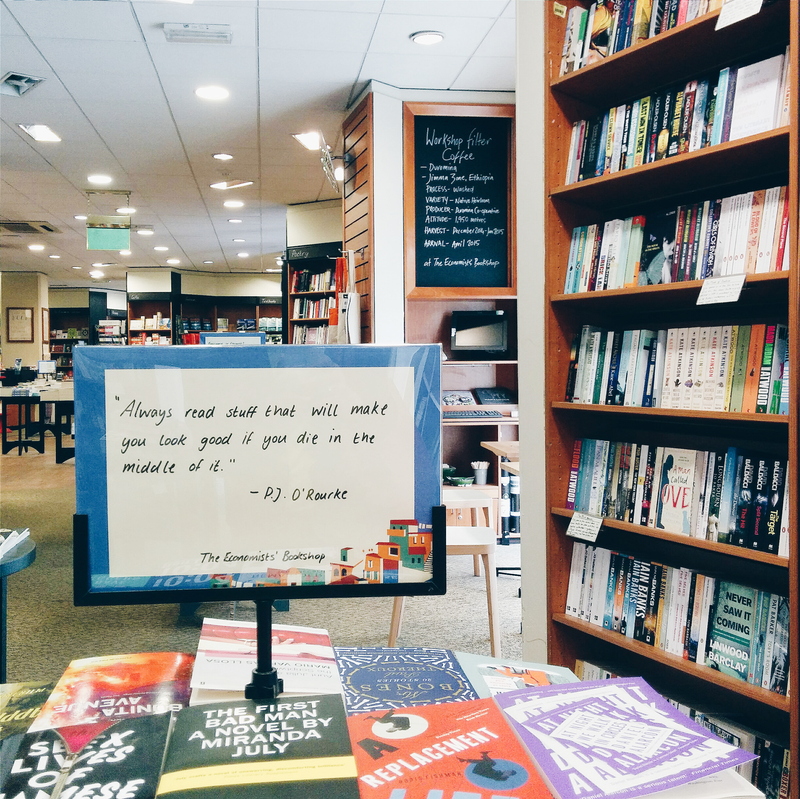 I find peace in the hum of a bookshop, eavesdropping on the conversations of people who love books as much as I do and feel a human connection. 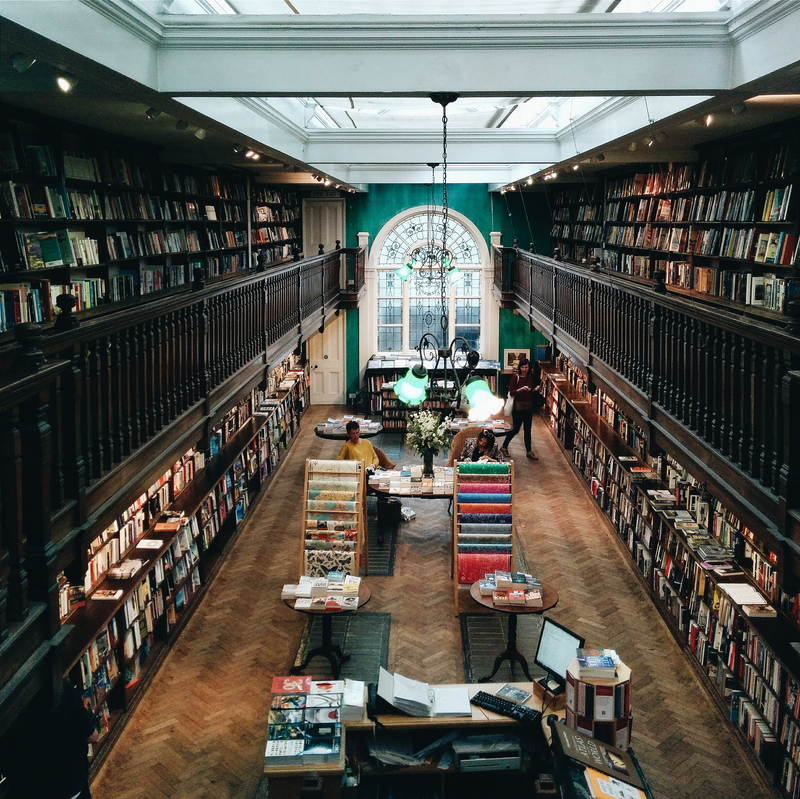 During that one week in London, I could relate to the panic of running a bookshop, the desire to steer a customer away from bad books, the feeling that some customers have grown to be more than people who buy books from you. I felt as gleeful when I heard about Tolkien’s drinking club as a fan would when they found out about the pre-concert ritual of their rock star idols. Strangers we may be, but we are bound by stories and love for the written word. Most of all, I was grateful for all the people who was as shaken by Go Set a Watchman as I was. Like so many bookworms in the world, I have read To Kill a Mockingbird in my childhood and loved it to pieces. Atticus Finch is the father figure I wish I had. Growing up, I have asked myself “What would Atticus do?” when facing a dilemma, just as Scout does. Like so many readers, I rejoiced when HarperCollins announced that Harper Lee has allowed the first draft of the book that would then become To Kill a Mockingbird to be published. 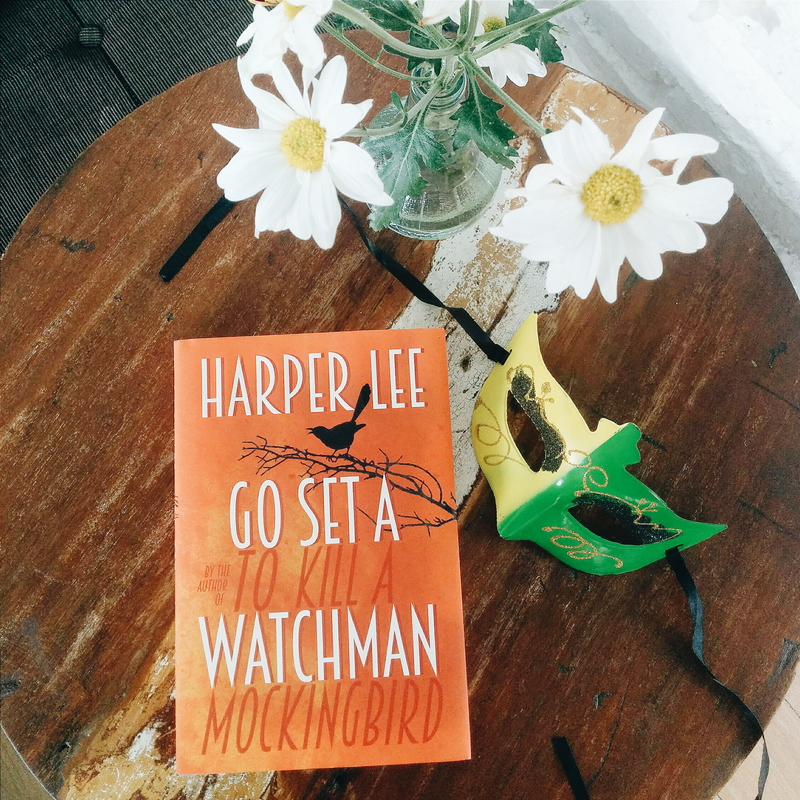 I read enough to know that the circumstances behind the publication is murky, that it is unedited, and also that Go Set a Watchman is not a sequel, although it deals with the same characters and is set years after To Kill a Mockingbird. However, no amount of reading and mental preparation could have eased the shock I felt when Michiko Kakutani casually dropped that Atticus Finch is a racist in Watchman. Her review of the book was published by the New York Times only one day before all the bookshops in the world celebrated the release with midnight parties and snickerdoodles and free coffee. I was ready to jump into the party, but once I read her review I mourned instead. I knew that a part of my childhood would be turned upside down and I longed for a friend who would understand. It wasn’t until I overheard people talking about the book in the bookshops that I felt less alone. Atticus Finch was a work of fiction, but he had become real to so many people and all of us have to deal with the loss of the Atticus Finch we had in our lives. Thank you, independent bookshops of London, for making a woman feel less lonely in your cold British summer. Thanks to you I’ve started buying books again! People are going to kill me, I can feel it coming, my librarian friends are going to say “why can’t you go to a library, saves you money” argh!! Anyway, terima kasih untuk jepretan kameranya yang indah. Walaupun akhirnya aku tetap bingung dengan isi tulisannya, percayalah, bahkan dengan pikiran sendiripun aku kerap kebingungan. Iya, aku terkekeh-kekeh sendiri mendengar dialog soal Coca Cola itu. Nanti cerita ya kalau kamu sudah membaca Go Set a Watchman! Fotonya bagus-bagus banget. Kalo toko bukunya seperti ini, rasanya akan betah di dalam. Aku baru kelar baca To Kill A Mockingbird (telat banget yah). 😀 Sepertinya cuti berikutnya akan mencari “Go Set a Watchman”. Haduh, Yuna, membaca Watchman itu pengalaman yang berdarah-darah bagiku. Nanti cerita ya kalau kamu sudah selesai membacanya! It’s hard to feel lonely in the company of books, I agree. Cheers to more reading time in our lives! 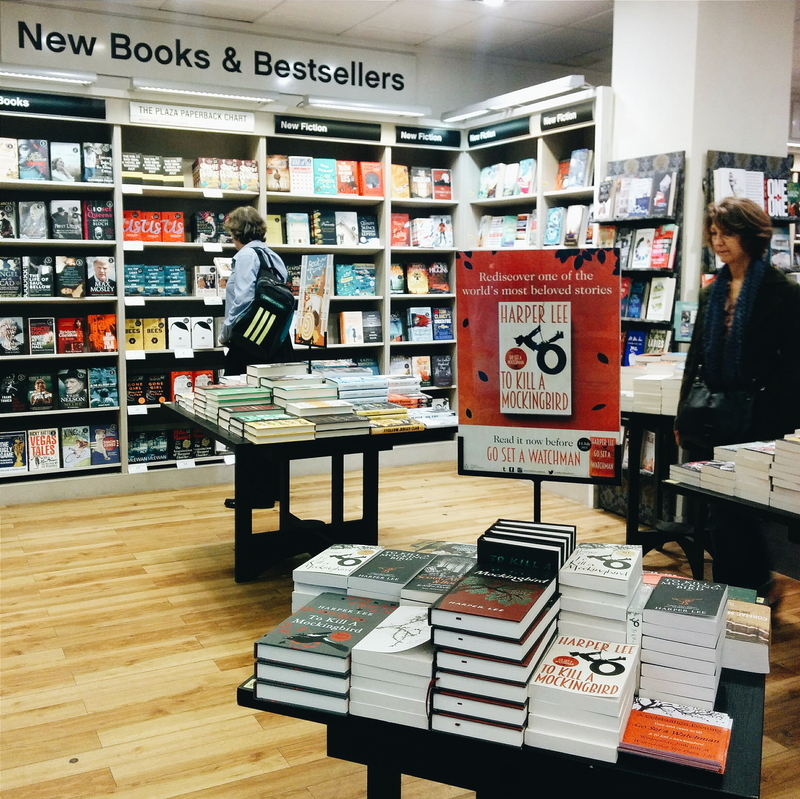 I really miss London, and especially it’s bookstores. Entah kenapa membeli buku di London rasanya begitu murah. Bisa penuh koper karena membrong buku-buku murah nan bagus di sana.